This card could hardly be any simpler! 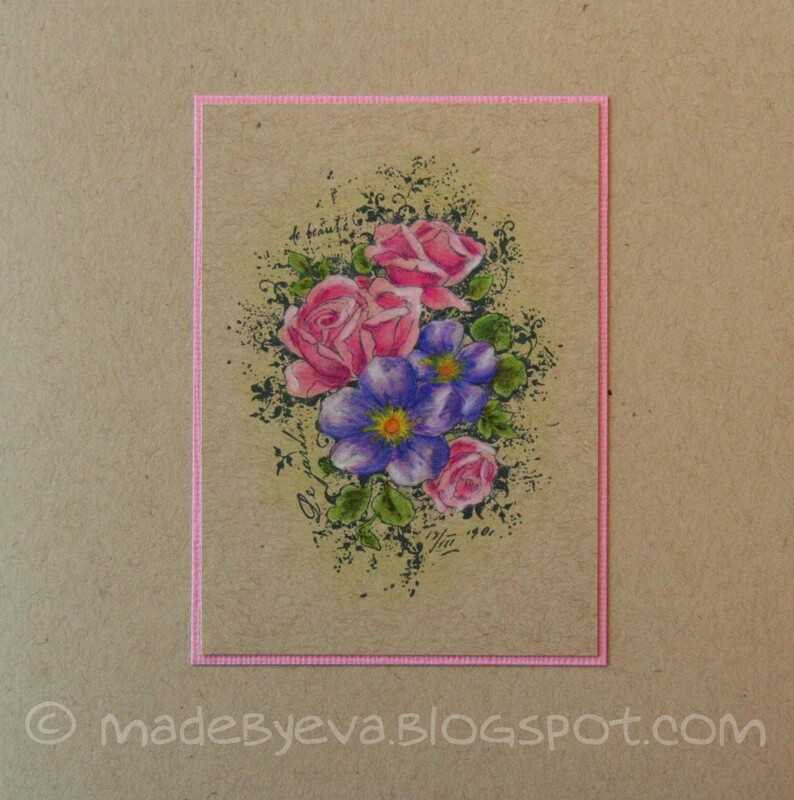 One Stempelglede stamp, coloured with Prisma pencils, matted on kraft. I have to admit, though, that this stamp is a challenge to colour. I've tried it before with watercolour pencils, and it's definitely easier with the Prismas, but still... I can't seem to get it completely right. Ok, enough complaining already! The stamp is lovely and makes a big statement. I'm tempted to add something more to the card, but I think I'll wait and see if it sells like this first. You never know, someone might be looking for a clean and simple card.